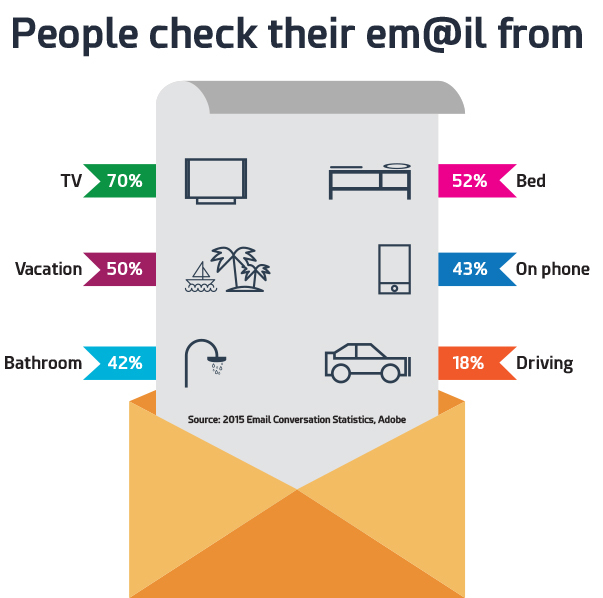 Admit it, checking emails is an integral part of your morning routine. But how many mails stay put in your inbox and how many are moved to trash and spam? Often, the ratio is approximately 1:25. What should you do to ensure that your mail is the lucky one? Put an eye and click baiting subject line. Email templates in your marketing CRM solution make it simpler and faster to create and deploy mailer campaigns. It is also possible to edit them live. Include the below good subject lines in your templates and watch your conversion rates soar. 1. "Here to help anytime, anywhere"
Gone are the days where sales reps would just 'sell'. Today, they are transforming from peddlers to genuine helpers. And any recipient will appreciate an extra helping hand (service). 2. "Question about [customer/prospect objective]"
How would you feel when someone is genuinely interested in helping you achieving your goals? The same goes for prospects/customers. And the best way to show interest is to asking inquisitive questions. From the insights derived from your CRM solution, find out which stage your customer/prospect is and then enquire. This subject line is great for followups. The recipient will most likely be prepped to see what the next steps and whether it interests him. Even if hesitant at first, curiosity will nudge him to open and read. 4. "(Any number) steps to get results"
Numbers + actions is a surefire way to grab eyeballs and clicks. 5. "Did you get what you were looking for?" Suitable when you are following up with web visitors. From your CRM (preferably integrated with Google Analytic), find out which visitors left without converting into inquiries. This subject line exhorts them to open up about their pain points. Prepare such templates in your CRM campaigns to automate. 6. "(Mutual contact) suggested to contact you"
This line is powerful for sales reps. Referrals suggest a tone of credibility to an otherwise cold message. Suggesting mutual contacts (preferably higher management) will warm your prospect enough to elicit meaningful conversation. 7. "(Any number) Solution/Ideas for prospect/customer needs"
Add to that a definitive list and you have a winner. You can research the pain points with the help of CRM analytics combined with social. 8. "Dear (Prospect/customer), can you spare 5 mins for a conversation?" You have a great new scheme which is relevant to the recipient. This personalized template will enable the target to schedule a meeting at his convenience, thereby increasing the chance of a conversation. This subject line is even ideal for followups or an introductory call. 9. "Idea for (current customer/prospect trend)"
Suppose your target recipient has a big life event coming up (wedding, children, anniversaries etc). Based on his purchase behavior or profile captured in CRM solution, you can suggest a (genuine and related) event idea that you can fulfill. At least, he will get a good impression that you are a brand that cares. 10. "5x [results] in 10 minutes"
Actionable and tangible, this one makes a bold statement. But you must have a proven track record of backing this up. Choose between 5 and 10, anything higher would seem too good to be true. 11. "(Prospecting partner) + (your brand)"
Great when scouring for partnerships. The (+) sign will give the recipient an idea that the mail is about partnership proposal rather than cold sales mail. 1. "Warning: Do not open"
Some may argue that reverse psychology works best on humans. However, with a heightened awareness about spams, phishing and online security, recipients will most likely avoid taking risk and send this subject line straight to spam. 2. "Dear (Recipient), you are not alone." Smart marketers, knowing that emails starting with 'Re:' will be opened by unsuspecting customers/prospects, abused this subject line so much so that it is now marked by Google as a spam title (if there is no trail mail to support it). Don't believe us? Check your spam box. Are you running a reputable brand or a Nigerian scam? Your prospect or customer is, unfortunately, not a wizard to magically find out what the email content is. Use one of the tempting subject lines listed above. A great email cements engagement with your customers and prospects. Let a good subject line be your starting point. Still not convinced about tempting subject lines? Just ask our customers who is enjoying a 208% increase in lead conversions.